I wanted to share with you my passion for building things. I have in the past built some static models of scale one being a ABC warrior. This time around I wanted to do something for my wife and I to enjoy when we went to a Ren fair. 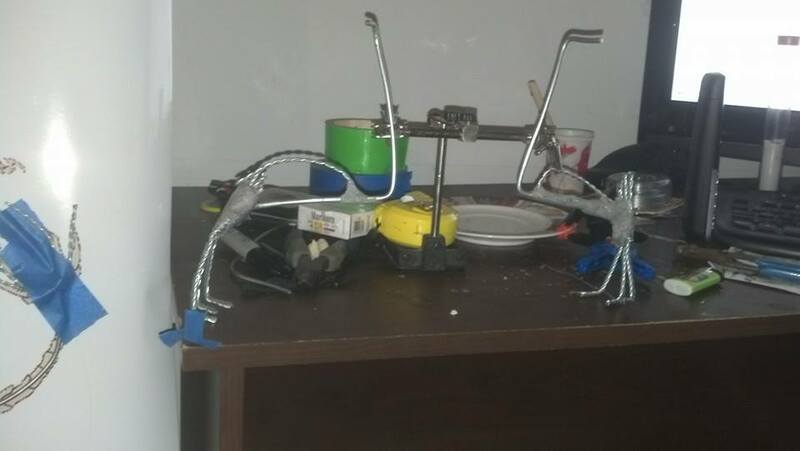 The First concept I came up with was making it so I would be able to walk it around like a dog with all the controls hidden in a leash,But after more planning and doing a layout for the servos and figuring out the movement I figured I would end up with close to 16 servos in hidden in a small space. That would not fly due to trying to work out bugs and if there was a problem that I would have to tear it down just to fix a slipped servo. ( it has happened). 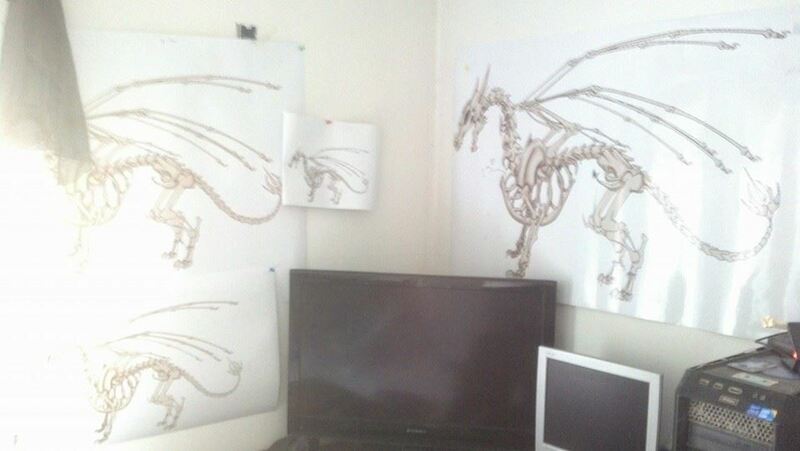 Once I had my idea I went to google to look for a rough layout of a dragon skeleton I could use or borrow. There is alot of them but, I have only found 1 or 2 that will have the correct amount of bones . Next I pondered on scale I did not want something small that would not be able to show the detail I wanted or go so big that I would have to ask for a bank loan. I decided to model it about the size of my dog a Cogi mix. As you can see from the photos I printed them up to a scale of a large dog and started to break it down by 25% until I found a size that I liked. I have just started to work on this project and I have not made it to far as of yet you will see from the photos. 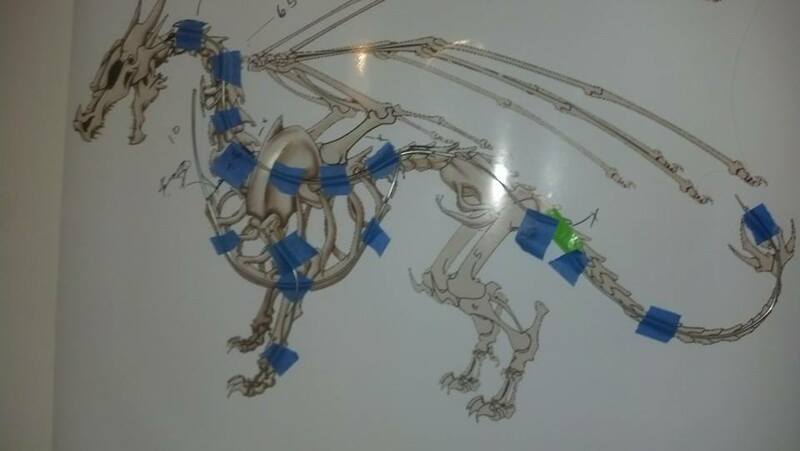 One thing i found as a must for me was to make a double copy of the image and build the sculpting frame on top of that way you can plan your movement and adjust stuff as needed instead of building a blind one and finding out that the wings needed to be longer or the knee was in the wrong place. I do not have a finished concept I just wanted to get started on the scale and get it going and then take a break once I see it fleshed out see how I wanted it to look. 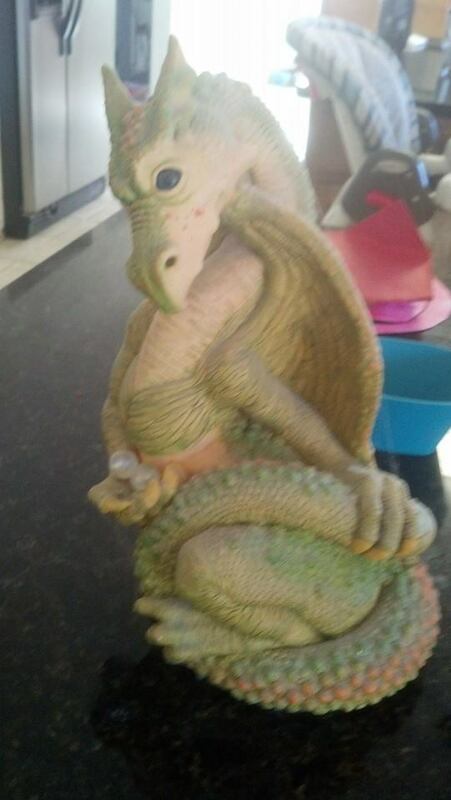 My wife asked me if I can use one of her dragons she has for the style of it. so that is why that picture is in there. good tip will be since I am using a heavy gauge wire I don't like to bend things by hand. you can go to Harbor Freight and pick up a brake line bend tool for under $15 to make your bends smooth and thought out. as for most of the wire I am using I went to home depot to buy it vs going to a hobby store . lesson learned things cost more and you get less. 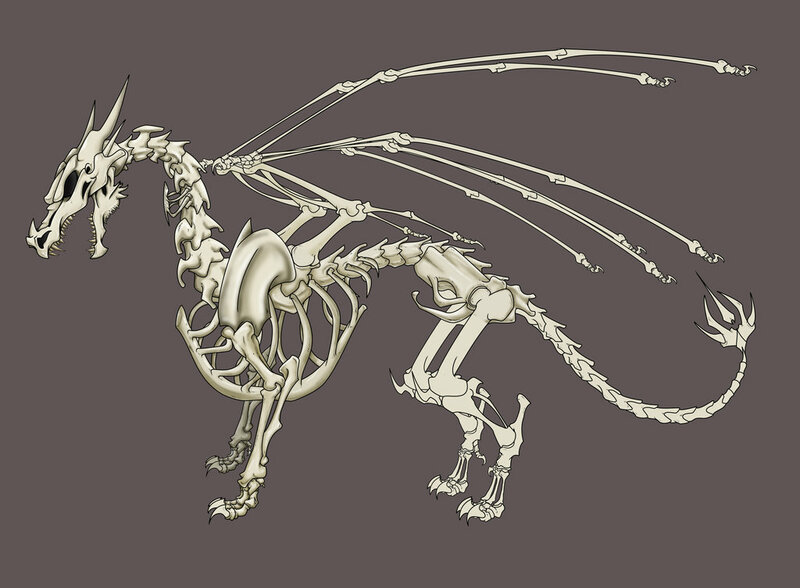 As of today I have started working on the rib cage and designing a breast bone . 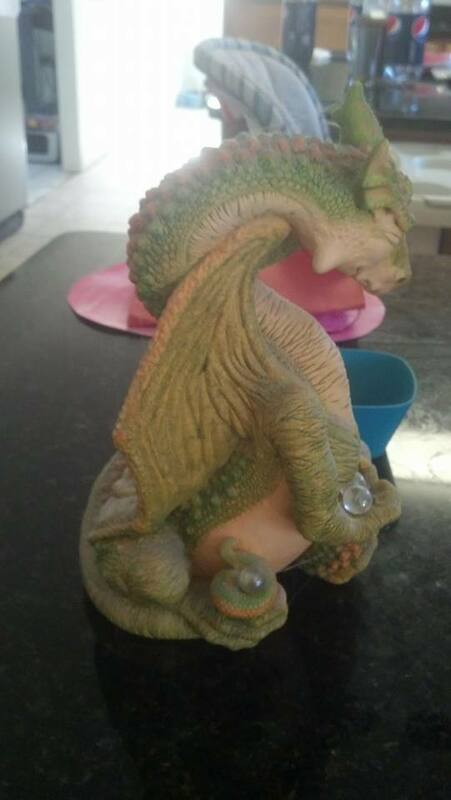 I have the rea legs done for now I have to design up a hip joint to attach them. I will post with progress that I have made when I can. Thanks I buy the stuff for it when I have the money all the servo's and radio stuff I have on hand. I have to work on a new concept for it so I can get some more movement out of it.